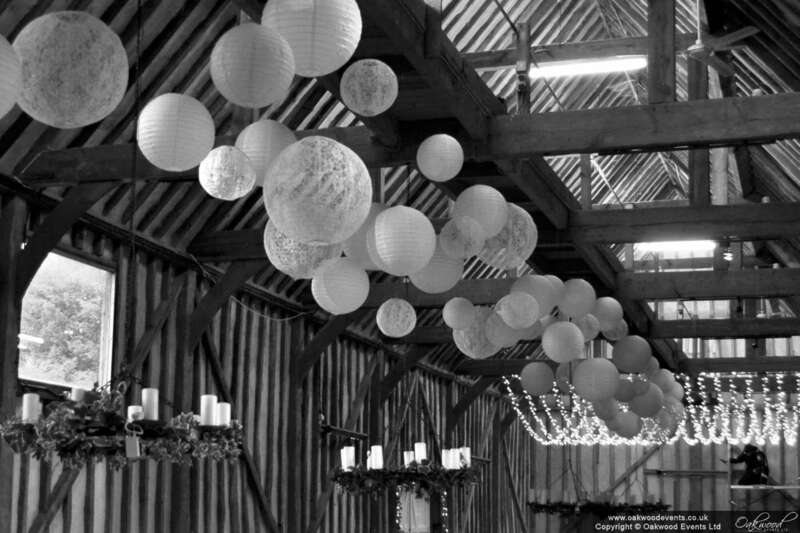 We installed this beautiful display of paper lanterns and fairy lights for a wedding at Lillibrooke Manor. 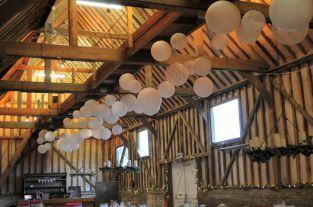 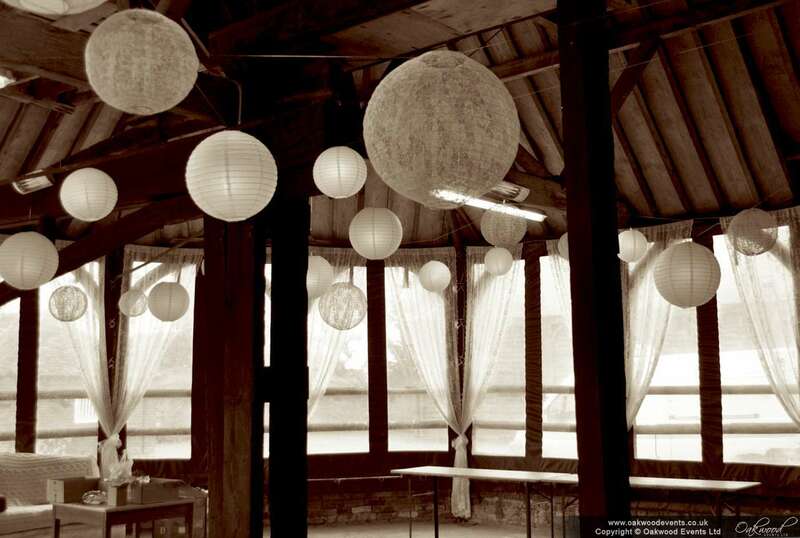 The brief was to create a different look above the dining area and the dance floor sections of the main barn. We suggested a canopy of warm white fairy lights above the dance floor with a mixture of lace and white paper lanterns above the dining area. 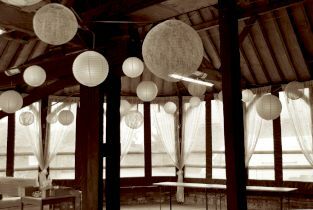 The lantern theme also continued into the smaller animal engine room, which was being used for reception drinks and as a chill-out area in the evening. 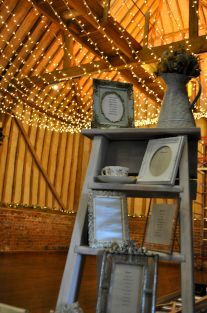 We think the results were fabulous! Just in the airport lounge waiting for our flight but had to write and say thank you for the amazing lighting you did for us in The Stable yesterday. 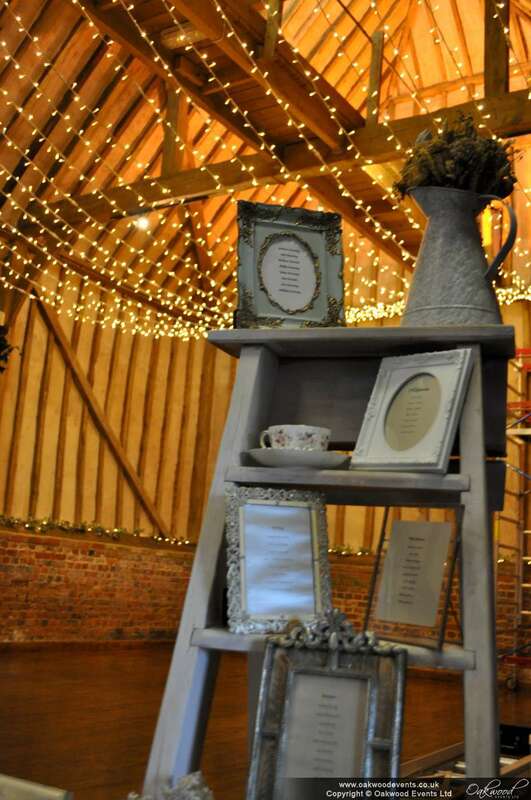 It looked exactly how we imagined and all of our guests loved the look!